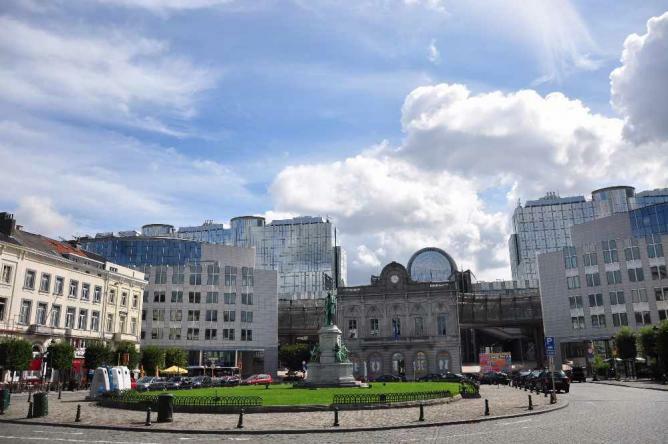 A popular and cosmopolitan neighborhood in Brussels, the area surrounding the Place du Luxembourg famously houses one of the main European Union institutions: the European Parliament. Yet, there are a number of other interesting features in the Léopold Quarter, as it’s also known, which should entice any tourist or local to visit this lively part of the Belgian capital. 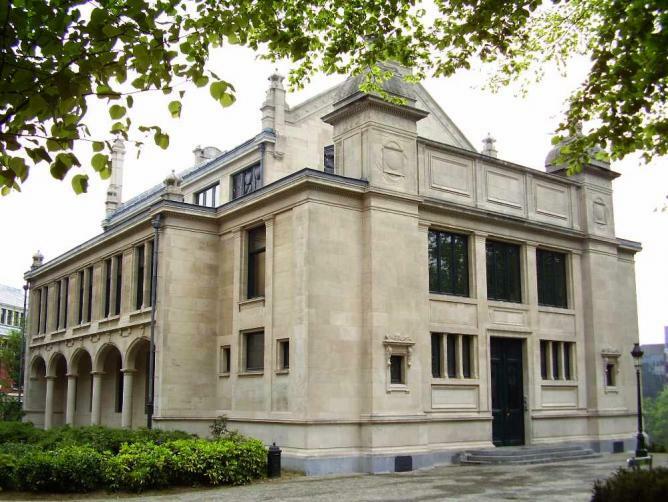 The Royal Belgian Institute of Natural Sciences, known also as the Dinosaur Museum, is dedicated to natural history. 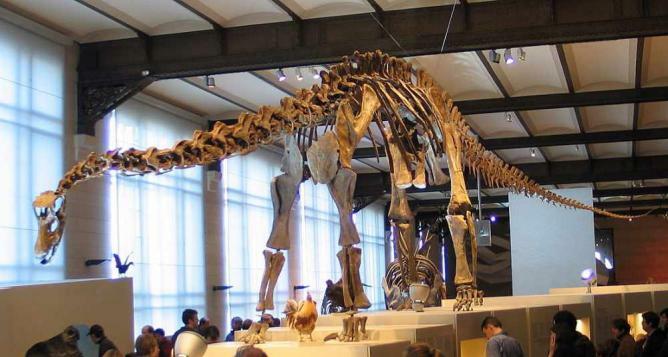 The dinosaur hall is the world’s largest museum hall completely dedicated to dinosaurs. Here, you can enjoy a unique experience, having a cocktail or dinner in the magnificent hall, while surrounded by dinosaur skeletons. The whole atmosphere creates the feeling that suddenly everything will become real and you will be part of the movie Jurassic Park or Night at the Museum. The museum also has numerous fascinating permanent exhibitions. Two highlights include the ‘Gallery of Humankind,’ which explores human evolution and the body; and ‘BiodiverCITY,’ which explains biodiversity within cities and how to protect it. Opening Hours: Tuesday to Friday from 9:30am to 4:45pm; Weekend and school holidays from 10am to 6pm. Place du Luxembourg, or as it’s affectionately known, Place Lux, is the heart of the Leopold Quarter. A small but busy square, Place Lux in located right in front of the European Parliament, and is surrounded by big European companies. Young professionals, lobbyists, lawyers, MEPs, and the expat community often converge in this square for a drink or a bite to eat. After 6pm, Place Lux becomes particularly populated, especially on Thursdays, with people taking advantage of happy hours and networking events. It can be difficult to find a table or a seat, but do not fret – you’ll often see people sitting on the grass in the middle of the square enjoying the atmosphere with drinks in hand. Located near all the main European Union institutions, Parc Léopold is a great place to escape the chaos of the area and unwind. Inside the park, visitors can see the huge variety of unusual trees and birds such as mallards, moorhens, coots, and even Egyptian geese and rose-ringed parakeets. Walking around the little oasis and the twisting paths you can admire Eggevoort tower, the only remains of the former medieval estate located in the area. A beautiful park for the family to play ball games, picnic, or even relax and read a book under the shade of the trees. Opening Hours: From 1 April to 30 September: 6am to 10pm. From 1 October to 31 March: 7 am to 9 pm. Solvay Library is situated in the center of Parc Léopold. The Bibliothèque Solvay, as it’s known in French, houses a rich décor of wood, stained glass and mosaics; and plays host to all kinds of events. This renowned library hosts concerts, cocktails, gala dinners, exhibitions and conferences. It is a good example of the Brussels Schools of Eclecticism and Art Nouveau. The library took its name after Ernest Solvay, an important Belgian chemist who became one of the leading industrialists in Europe, and the founder of Solvay & Cie. The ground and first floors are built around a magnificent reading room surrounded by study rooms and galleries. The lower ground floor has been renovated in a contemporary style, and is ideal for lunches and coffee breaks during conferences or for finishing the evening around the bar. A great little bar with a huge selection of Belgian beers and others is the Beer Factory. Be brave and try the beer meter, seven sample-size beers covering their full range of draught beers. 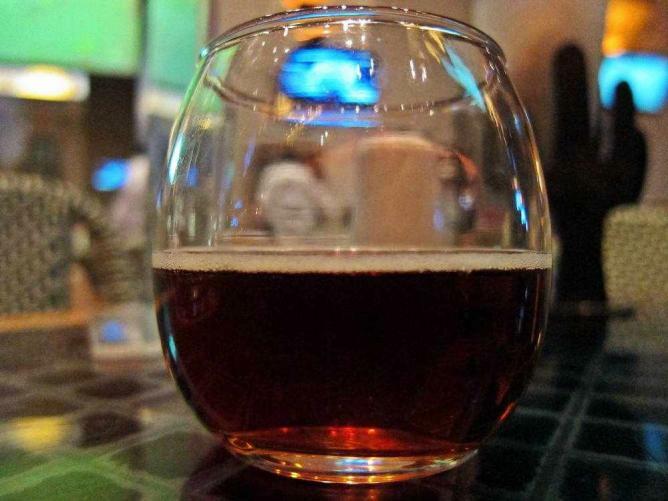 What makes this bar different from others is that here the visitor can learn about beer-making, including the types of grains that are used to make beer, as well as the actual brewing process. Another favorite, Fat Boy’s Sports Bar & Grill, is always filled with people from around the world who gather to watch their favorite teams play a variety of sports on the big screens. Here, you can try one of the best burgers on the square. Another place to try is Ralph’s Bar, where you can enjoy two cocktails for the price of one between 6 and 7pm. London Calling, as The Clash famously sang, is another great spot to sample a taste of Britain on Rue du Dublin. A great attraction and one of the most famous in Brussels is the European Parliament; one of the three big European Union institutions. The majestic entrance with bridges and the big square make the Parliament stand out. It is always buzzing, not only with the large number of people who work there, but also with the presence of the media. An immense building nicely integrated in the city landscape, you can learn more about the Parliament by visiting the Parlamentarium. 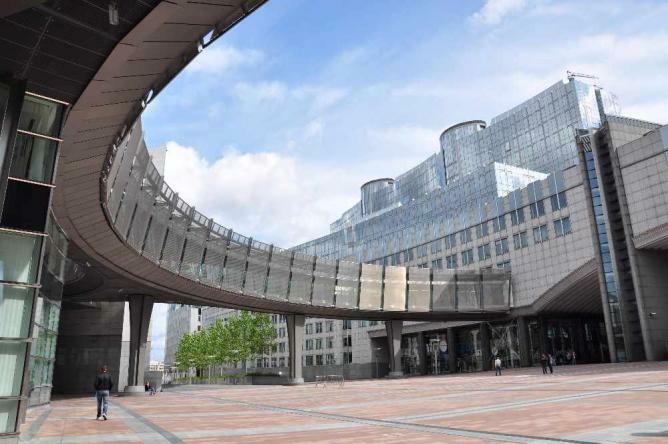 The European Parliament’s Visitor Center is Europe’s largest parliamentary visitor center. Interactive multimedia displays allow visitors to learn about the history of the EU, the voting system, its members and much more. The audio guides, which are provided in all European languages, the brochures, and the posters, make this experience unique. 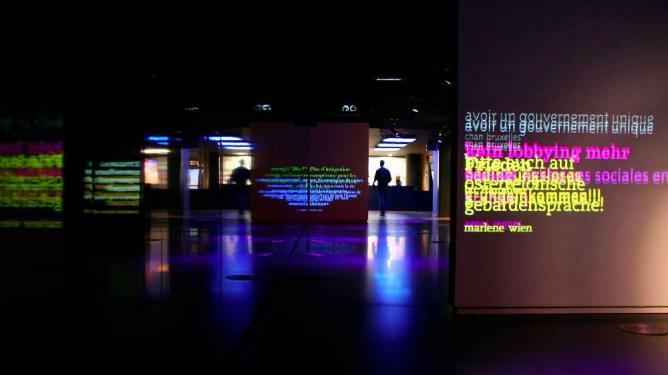 There is also a vast 3D lighting installation functioning as a shifting map, an interactive virtual trip through Europe to discover each Member State, and a video wall with messages from Members of the European Parliament. This is a modern interactive museum with free entry. Concert Noble is a magnificent space designed to host social and cultural events such as banquets, fashion shows and press conferences, as it is one of the most exclusive venues in Brussels. 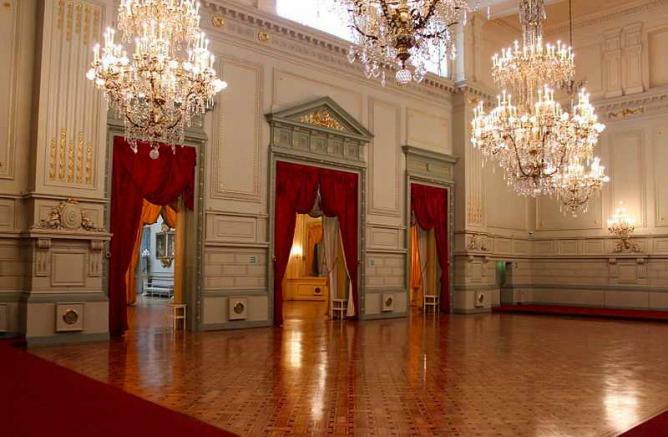 It has become one of the preferred meeting points for major national and international dignitaries, and has welcomed the likes of the Dalai Lama, several heads of state, the members of the Belgian royal family, as well as members of other European royalty. With imposing tapestries that adorn the walls of a surprising height, words can not describe the elegant atmosphere of Concert Noble; so if you have the opportunity to visit this beautiful building, make sure you wear your finest clothes. As mentioned earlier, the Léopold Quarter is an area where people from all over the world work and mingle. Visitors can indulge in international cuisine at an array of restaurants located near the Place du Luxembourg. For Belgian fare, head to the restaurant Quartier Leopold or L’Antretemps. Fans of Italian food should definitely try the Gourmand Wine Bar or the Anciénne Poissonnerie, which has an open kitchen. Another great option is the Ergon, which serves gourmet Greek dishes. For a quick bite to eat, try a traditional Turkish kebab at Chez Bal. Formerly known as the Léopold Quarter Station, the Brussels-Luxembourg Railway Station is located right on the Place du Luxembourg next to the European Parliament. The original station, which now houses the information office of the European Parliament to the left of the modern structure, was built by Gustave Saintenoy in 1855. It was designed in a neo-classical style similar to other buildings surrounding the Place du Luxembourg. 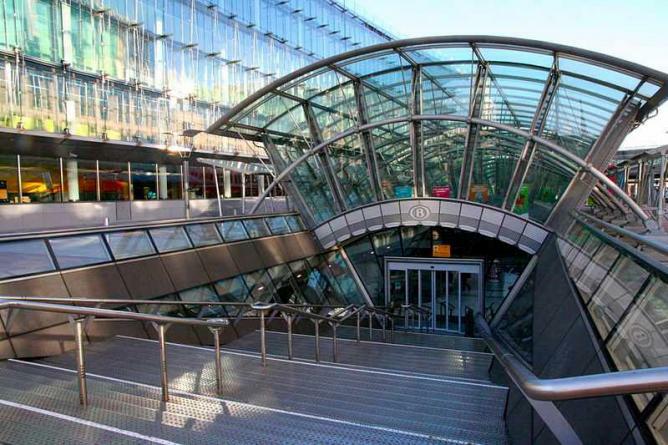 The current station, which is now completely underground, went through long periods of reconstruction and has been designed in such a way to ensure that a great amount of light can come through.